After a loan move to his old club Parma that has seen him enjoy more action on the pitch, Kenyan midfield maestro MacDonald Mariga is at it again.This time he has acquired the latest version of luxury car in the auto market - A brand New Cadillac Escalade Platinum 2011. The latest toy to his fleet landed in Nairobi on Monday adding to his already flamboyant fleet of cars in Kenya that include: A Lexus V8, a Jaguar and a Hummer H3. The car is already in the country and he (Mariga) will use it during the period he will be in the country as he prepares for the crucial AFCON 2013 qualifying match against Togo. 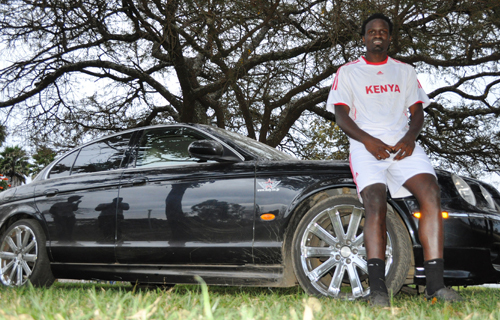 While in Italy, Mariga cruises either in his luxurious Audi Q7 or in a special Dodge, both top range sports cars. But what is this so special about this road monster? Michezoafrika.com searched for few facts that make this car one of the best luxury cars of 2011. 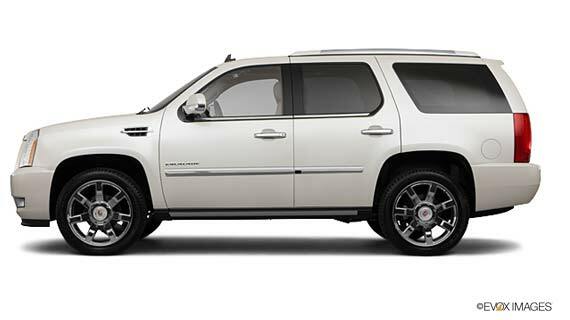 Escalade Platinum is the highest expression of the brand's dramatic design, luxury and technology. With features including segment-first LED headlamps and the world's fastest-acting suspension, Magnetic Ride Control, it's one of the most technically advanced vehicles in the segment. Inside the 2011 Cadillac Escalade Platinum is the latest example of Cadillac's 21st century return to handcrafted luxury details. The instrument panel, center storage console and door trim are leather wrapped. They feature decorative French seams that convey an elegantly tailored look and feel. Materials include rich leather on the instrument panel, with unique wood inlays and aluminum trim. Additional standard interior features include Platinum-specific door seals and floor mats; a heated steering wheel; and heated and cooled cup holders and a power lift gate that opens and closes with the touch of a button. Also, the DVD entertainment system adds screens integrated into each front-seat headrest, in addition to the existing roof-mounted screen. Each front-row headrest screen has its own driver and input controls. The headrest units can be operated independently or in tandem. This system enables passengers in different seats to watch or listen to different entertainment choices. Escalade Platinum models will include the acclaimed Bose 5.1 Digital Surround system, as well as the eight-inch touch screen for Navigation, DVD, CD, MP3 and XM Satellite Radio entertainment. These are just some of the highlights of this super car as described by the renowned motor review website www.cardotcom.com. This could just be the first of that kind of vehicle owned by a Kenyan top sportsman cruising the Nairobi streets. Please don’t take our word to the bank.